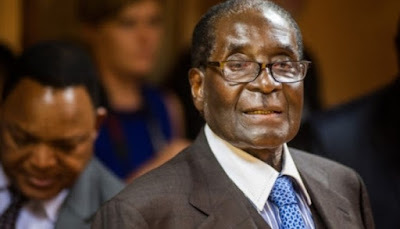 Zimbabwe's government has announced that President Robert Mugabe's birthday will now be a public holiday. The announcement is the latest in a series of efforts to secure the longtime leader’s legacy. Most cities and towns in Zimbabwe have a road named after President Robert Mugabe. In Harare, the public square that most political parties use for rallies also bears his name. Home Affairs Minister Ignatious Chombo announced yesterday that every February 21st, the birthday of Mugabe, will now be a public holiday. “President Mugabe has exhibited the following values that any fair-minded Zimbabwean would want their youths to emulate: self-sacrifice, selflessness, patriotism, hard work, principled leadership, respect for others, compassion and empathy, among others,” he said.